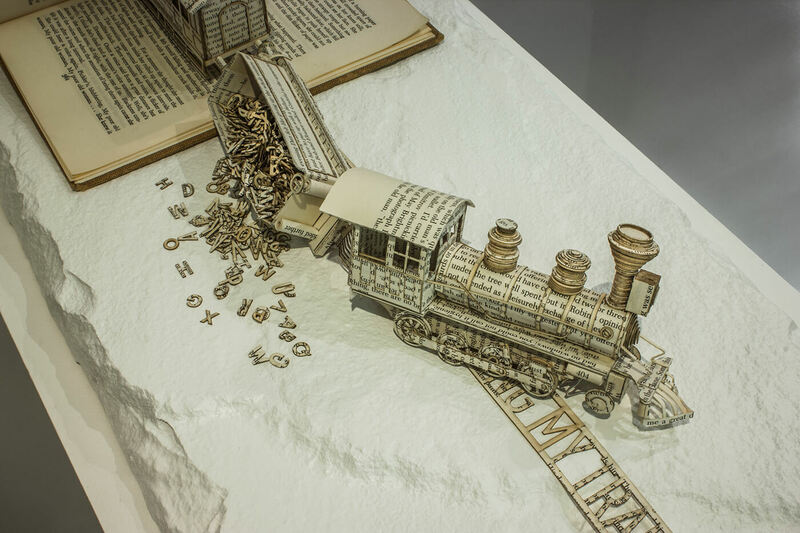 This is incredible – but this designer from England invented a new way to express his emotions – through a book paper sculpture. 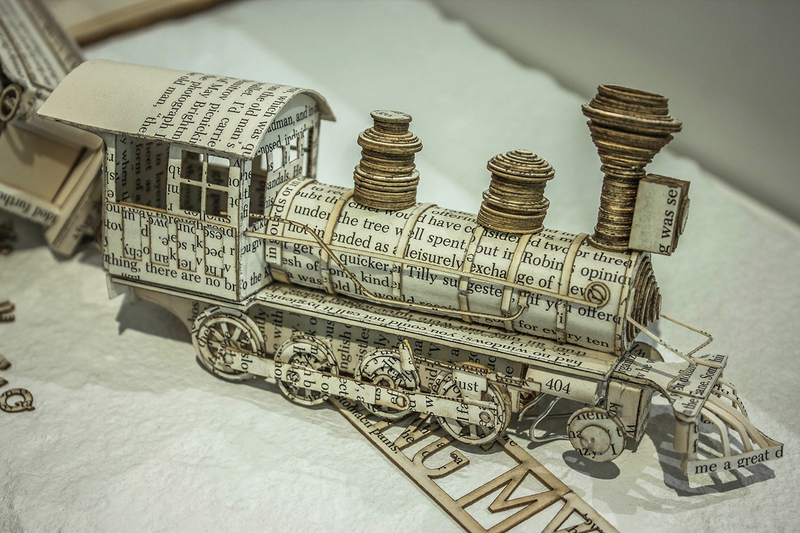 His artwork from paper symbolize some events in his life – memories of trips and journeys, feelings of oppression and desolation. The designer says that some of his artworks convey the emotions of a person who suffers OCD – obsessive-compulsive disorder. OCD is a mental disease when people can’t control themselves and often suffer from repeated actions or thoughts – they can’t get rid of them. For example, the famous millionaire Howard Hughes (oh yes, exactly the man from the Aviator movie with Leo DiCaprio) suffered from OCD. It’s really encouraging that OCD in this case evoked creative work and blu-sky thinking. 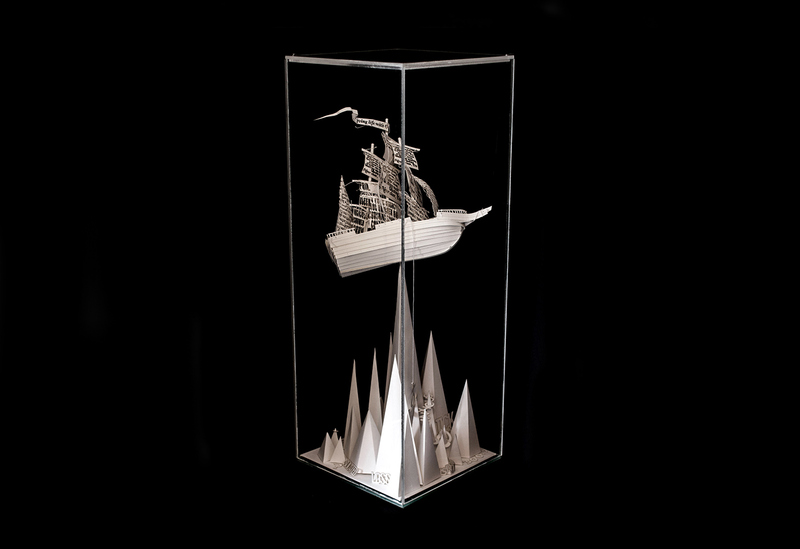 This artwork is called ‘Drowning from obsession’. 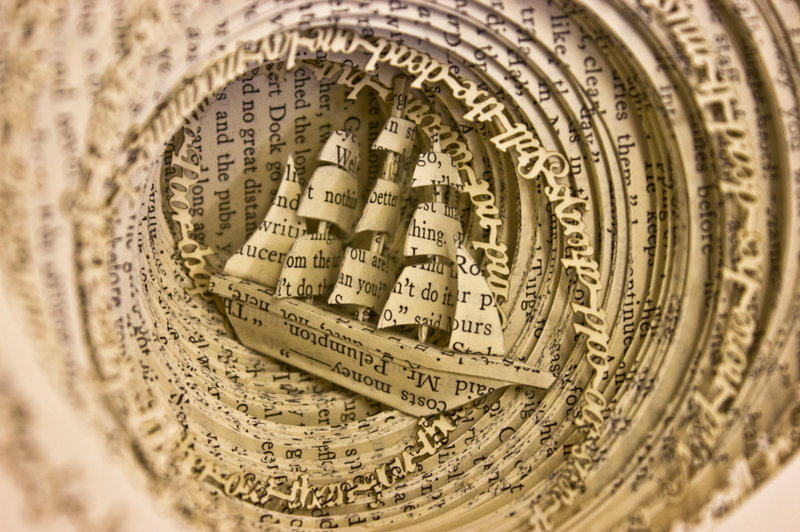 The author portrayed obsession in the form of a paper ship almost sinking in the sea of uncontrolled emotions. Also, the view of a sinking ship evokes a feeling of panic, and this is the panic attack from many people with OCD suffer from. 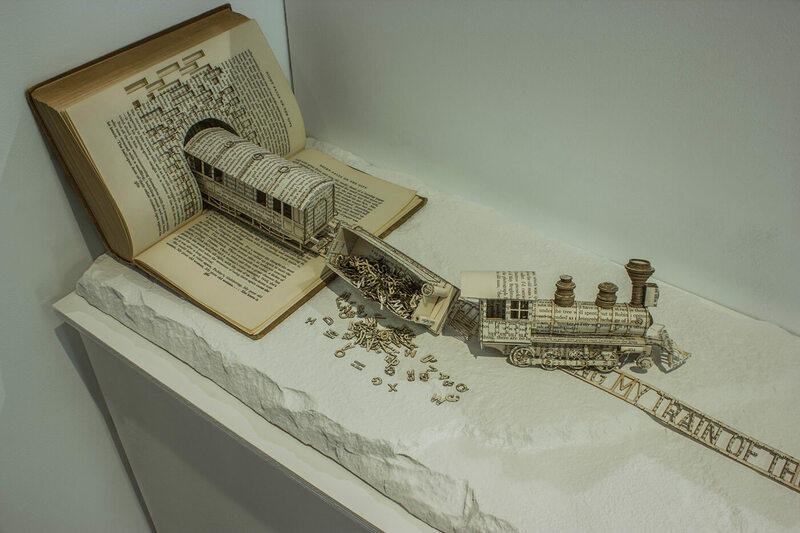 This book sculpture is called ‘Derailing my train of thought’. The crash of this train is associated with all unnecessary and uncontrolled thoughts that prevent patients from enjoying their everyday duties and activities. 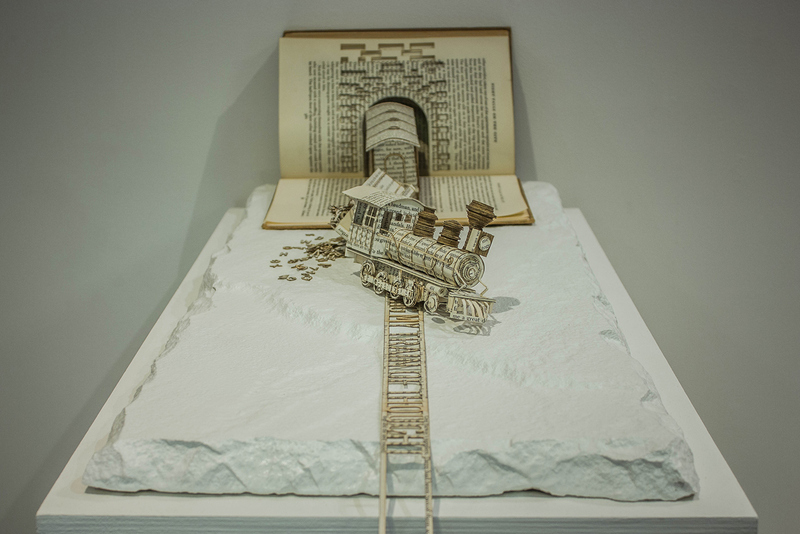 Hitting Rock Bottom is another artwork by Thomas Whightman who visualized OCD syndrome as a sinking ship which is hardly staying afloat. The same happens to OCD patients who struggle every day but never the less can hit the rock and get injured. 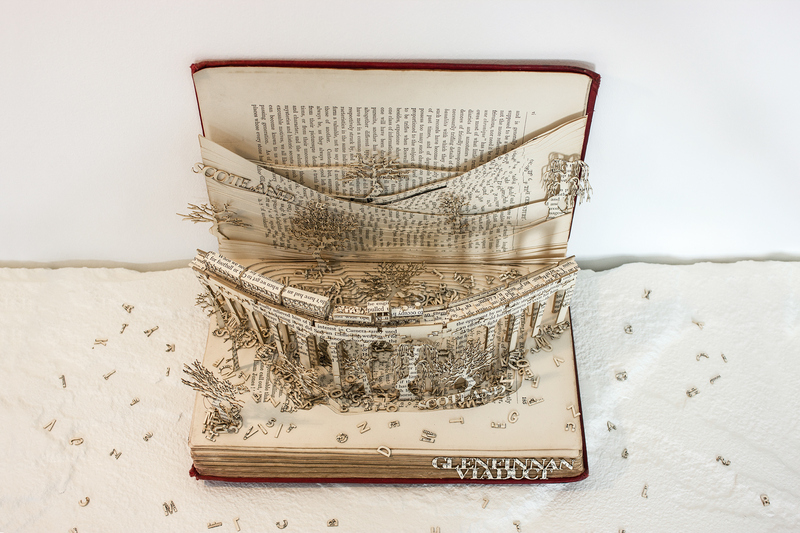 According to Whightman, this book sculpture is devoted to Scotland, a beautiful and gorgeous country with magnificent scenery. 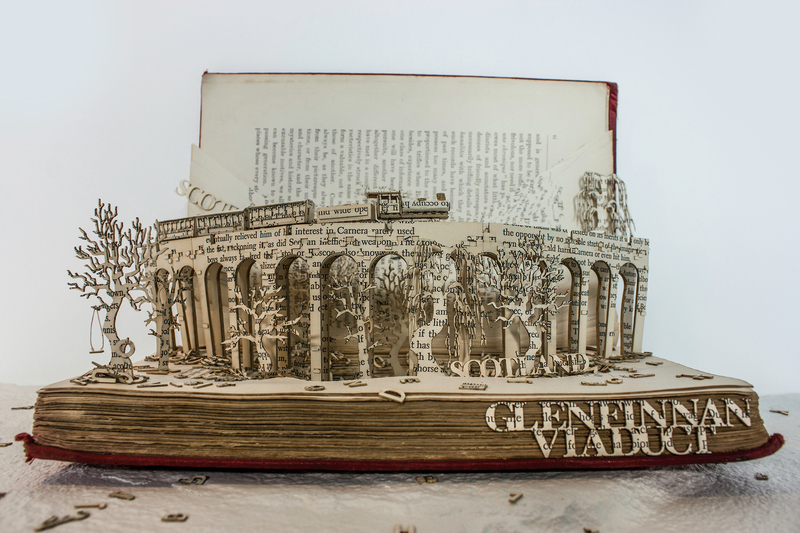 This artwork illustrates the iconic Glenfinnan Viaduct bridge, which became famous thanks to the Harry Potter film series. Did you like his works? Do you think it is something new in art? 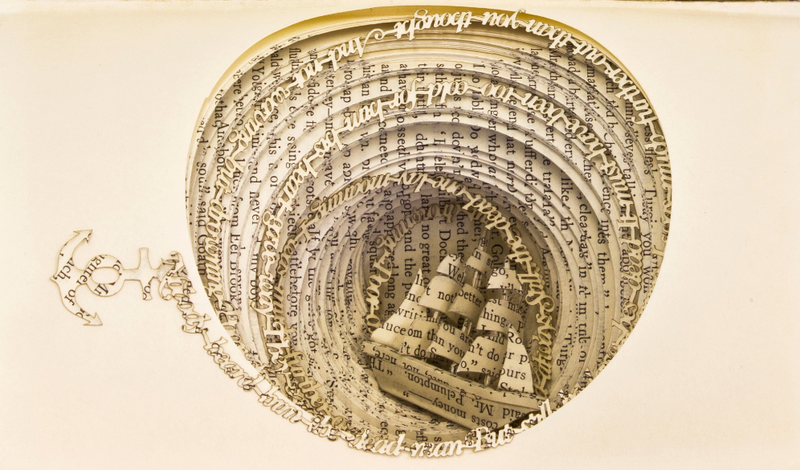 Leave a comment and share this article so that more people know about book art sculpture. Previous story Learn to draw Jake from Disney animation series ‘Jake and the Never Land Pirates’!